The new LISST-SL2 river sediment monitoring instrument is a greatly simplified and powerful device. The instrument transmits data immediately upon being lowered into water. Data can be viewed in real time, or after processing for averages. Click here for LISST-SL2 instrument system details. 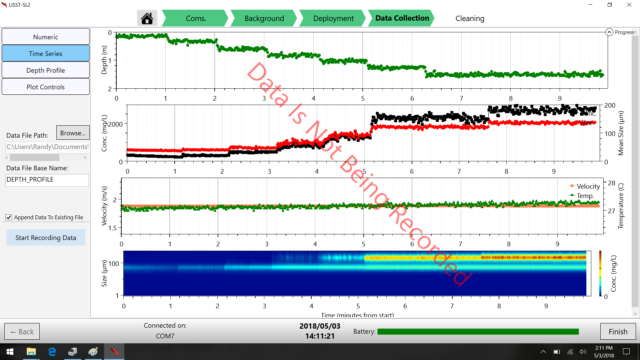 Data are displayed in this format upon start of data collection. In this format, the suspended sediment concentration, mean grain size, instrument depth, and temperature are displayed in large letters. 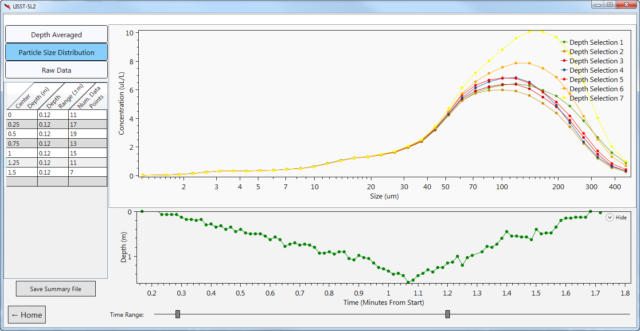 This mode is recommended for a quick look at data after inserting LISST-SL2 into water. Selecting the real-time display mode allows the user to watch how all parameters vary in a strip-chart format. Depth (top panel), suspended sediment concentration and mean grain size (second panel), velocity and temperature (third panel) and particle size distribution (PSD) are all displayed against time. 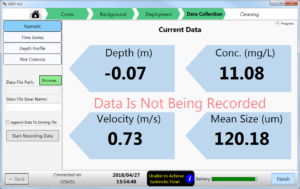 In the vertical profile mode, the data are displayed against depth of water. It’s value is immediately clear from the figure below. 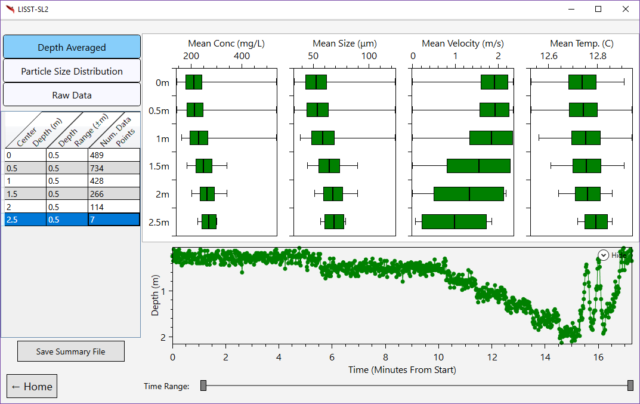 After specifying depth bins, averaged values of all parameters can be easily displayed by pressing one button on software. The following views result. The full raw data are output as .ASC files. Averaged data are also output separately, as text files. 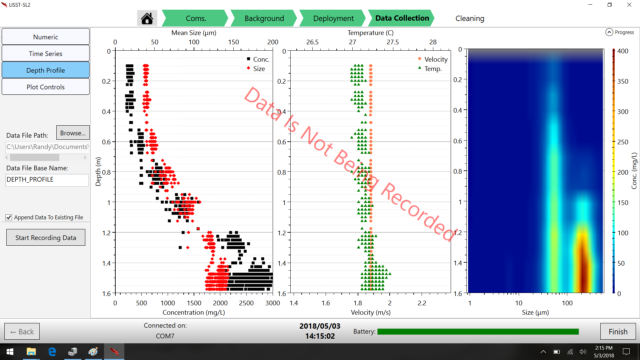 The data such as those displayed on this page, including averaged profiles, can be obtained in just a few minutes after inserting the instrument in water.